A parking garage requires always-on lighting. While this is critical to security, it can be challenging for energy use and energy budgets. Leaving lights on at all times will significantly drain financial resources. Thankfully, if you own a parking garage or parking lot, there are options to help reduce the amount of energy and money you spend on lighting. If you manage or own a parking garage, here is what you need to know about the overall cost of parking garage lighting. How much does it really cost to light a parking garage? The answer to this question is complex, because it will depend on the number of lights, type of bulbs or lamps, and how long the lights are on each day. The Department of Energy estimates that businesses spend over $6 billion a year to light their parking garages and lots, so each individual business has quite a large chunk of money invested in their parking area lighting. For businesses looking to reduce their expenditures, finding a way to save energy in this particular area is critical. One of the ways you can reduce your energy expenditures in parking garages is with the use of timers, motion sensors or daylight detectors to turn the lights on or off as needed. This works quite well in parking lots, but not quite as well in parking garages where daylight may not provide adequate lighting for security purposes. 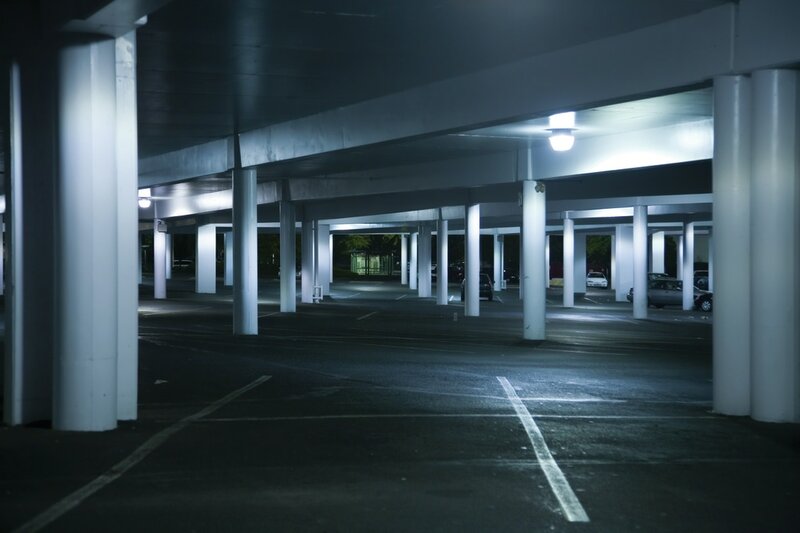 Motion sensors in parking lots and garages that are used infrequently can be a solution to prevent unnecessary lighting energy use. However, building owners will need to ensure that their lighting solutions do not violate safety and security protocols. A dark parking garage is a serious safety risk. A better solution that does not compromise security is upgrading the lighting from inefficient options to efficient and long-lasting LED lighting. Estimates indicate that upgrading to LED lighting can reduce lighting energy costs by as much as 90%. This is substantial energy savings. In addition, LED lights last longer than their traditional counterparts, which means less cost for replacement and fewer man hours spent replacing bulbs. On average, a parking garage light fixture that is upgraded to a LED light at 50W or less will save the building’s owner around $120 per year in energy costs. In a garage that has 250 lights, this adds up to around $30,000 in electricity savings each year. The garage owner will also benefit from a longer lifespan of LED bulbs, which will add an additional $20,000 in maintenance savings over the six-year lifespan of LED parking garage lights. The energy savings for efficient parking garage lighting is substantial. It is worth the investment to make the chance for the long-term savings that this upgrade provides to your business.